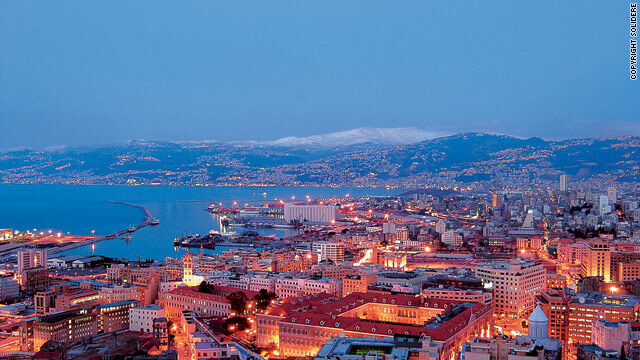 Lebanese capital Beirut, UNESCO world book capital in 2009, was host city for Beirut 39, which brought together new writers from the Arab world. London, England (CNN) -- A literary festival in Beirut has showcased some of what it says is the most exciting new writing in the Arab world, and aims to introduce its writers to a global audience. The Beirut 39 festival, held in the Lebanese capital, brought together 39 specially selected writers of Arab heritage, all under the age of 39. The writers appeared at public debates, readings and discussions, and all 39 have had their work included in an anthology, called "Beirut 39: New Writing from the Arab World," published simultaneously in English and Arabic. "Westerners are more ignorant about literature from the Arab world than from other areas," Bill Swainson, senior editor at Bloomsbury, publisher of the anthology told CNN. "It's a world that we're closed to, and in the last 10 to 15 years the West's relationship with the Middle East has been uncreative, to put it mildly. So, I think we've a lot to learn." Swainson said the project was inspired by Bogota 39, an event held in Bogota, Colombia in 2007 that showed off the talents of a new generation of Latin American writers, including Junot Diaz, who went on to win the Pulitzer Prize for Fiction in 2008. Swainson said he hoped the Beirut event could lead to similar international recognition for writers from the Arab world. "English is the international language, so having the book in English makes it possible for French, Spanish, German, and even Japanese editors to get a sense of what's in the book and then they can get language experts to translate from the original language," he said. "My hope is that over three or four years quite a number of these writers will find their way into translation in many languages, partly as the result of the festival, but also because they're writing interesting work." Lebanese writer Hyam Yared was among those featured at Beirut 39 and has already had her works published in Lebanon, France, Portugal and Italy. "Beirut 39 was an opportunity to see how all the writers from different backgrounds, with different difficulties in freedom of expression, have the same concerns," she told CNN. "It was great to meet other Arab writers, to see that finally we have the same concerns -- having more focus on the individual inside society, rather than being engaged in ideological attitudes as writers." While some writers struggle for exposure in the West, Yared said that as an Arab writer whose work is concerned with women's rights, she has more chance of being published in Europe than the Middle East. "As a woman writer I fight for women's rights in countries where I think there is lots to do," she said. "I think maybe it's easier for me to be published [in the West] as an Arab woman than a Western woman who wants to speak about the same subjects. I would be more visible because there are less people who dare to talk in our society. Only writers dare," she continued. The four-day event was organized by the UK's Hay Festival to coincide with the end of Beirut's year-long stint as UNESCO's World Book Capital. Swainson told CNN more than 480 submissions were considered, in any language, from writers under the age of 39 who were from Arabic-speaking countries, or whose parents were from Arabic-speaking countries. A judging panel of Arabic-speaking literary critics and writers decided the final 39 writers. Swainson added that an awareness of the work of modern writers from the Arab world in the West could increase understanding between cultures. "Until we read about other cultures, or see TV programs or radio programs about them, they just remain 'the other,'" he said. "The interesting thing is, what is that life like? What does it feel like? What is it like living in the Islamic world? There are elements of common humanity, which is interesting when reading about other cultures, but the differences are interesting too."